Our range of products include Multi Coloured Hangers such as Hanger Copy Bags and PVC Packaging Bag with Hanger. The first class infrastructure of our organization enables us to provide our clients with an exclusive range of Hanger-copy Bags. The offered product is made by a team of experts utilizing best in quality material & leading techniques in compliance with the market norms. This product can be availed in numerous sizes & shapes as per the needs of customers. We offer this product in a committed time at reasonable price. 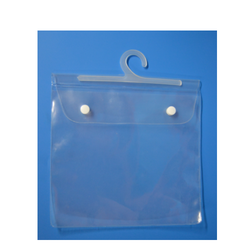 Keeping track with market development we are highly engaged in offering PVC Packaging Bag With Hanger. The provided packaging bag is manufactured using superior quality raw material & advance machines keeping in pace with industrial norms. 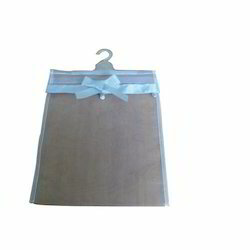 Our offered packaging bag is used for hanging coats & other clothes. In addition, the packaging bag provided by us is completely checked from our end so as to dispatch a defect free range. Looking for Multi Coloured Hangers ?